The Ronald McDonald House Charities helps serve and sustain families when serious illness or injury strikes the most cherished part of their lives, their children. 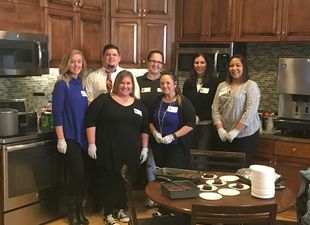 The Kansas City Property Managers, Senior Regional Supervisor, and CEO volunteered their time today to prepare and serve lunch at Children's Mercy Hospital. Pictured: Torrie, Aaron, Jennifer, Whitney, Qiana, Kara and Tina.